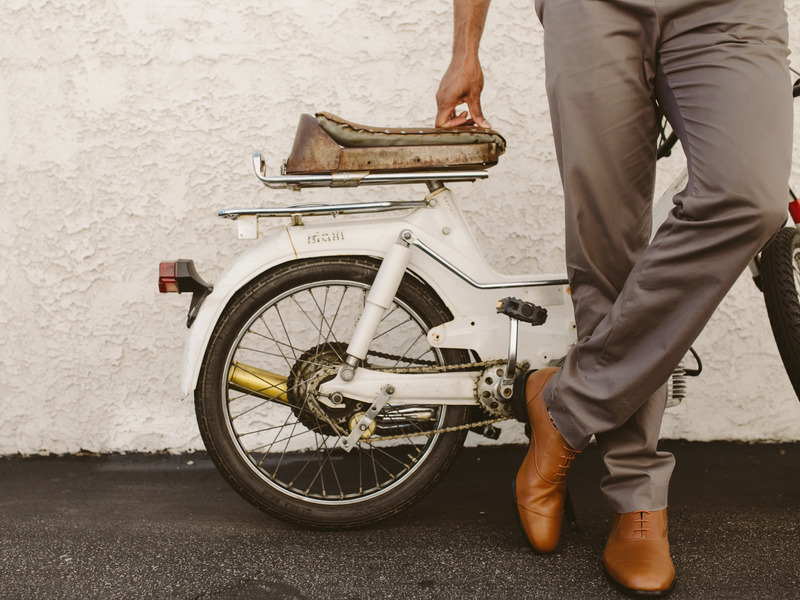 Wolf and ShepherdWolf & Shepherd makes dress shoes that are as comfortable as running shoes. Many men, as they lace up their Oxfords in the morning, think a simple thought: Why can’t my dress shoes be as comfortable as my running shoes? Justin Schneider, founder of new Florida-based shoe startup Wolf & Shepherd, had that same thought, but he decided to do something about it. Wolf and ShepherdThe technology involved in the shoe. The shoes also got their ratios from running shoes, and have modular outsoles that can easily switch out depending on the weather. 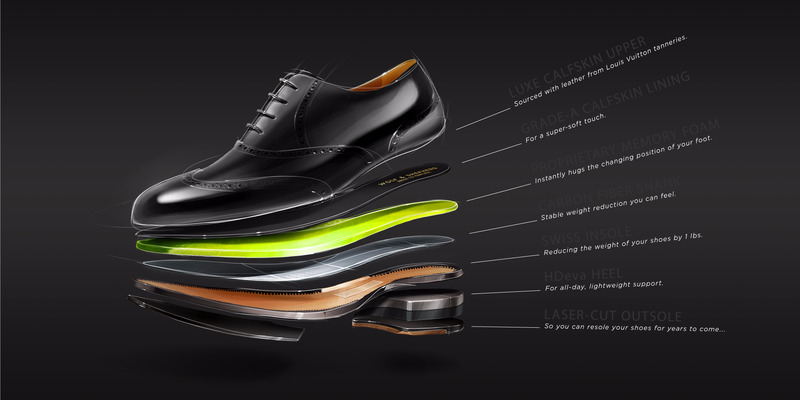 The shoes are, on average, a pound lighter than a traditional dress shoe, and use something called a “Swiss insole” to reduce weight. Since part of the comfort of running shoes is their flexibility, these shoes should be able to move better than your average dress shoe. This means the Wolf & Shepherd shoes have a little more give, which can cause some unsightly wrinkles in the leather when worn, as evidenced by some of the product shots. The leather, according to the company, is sourced from the same tannery that Louis Vuitton uses. Comfort doesn’t come cheap, though. The shoes’ retail price starts at $325, which is about equal to the cost of a well-made traditional dress shoe. They also cannot be recrafted except for the rubber tread patterns, which could present a problem should issues with the sole arise in the future. But if you’re looking for comfort, there’s really nothing else like it on the market. The company is having former NCAA Division I runner Juris Silenieks wear the shoes as he runs the “Hotlanta Half-Marathon” in Atlanta, Georgia, attempting to set the Guinness World Record for the fastest half-marathon time in dress shoes. 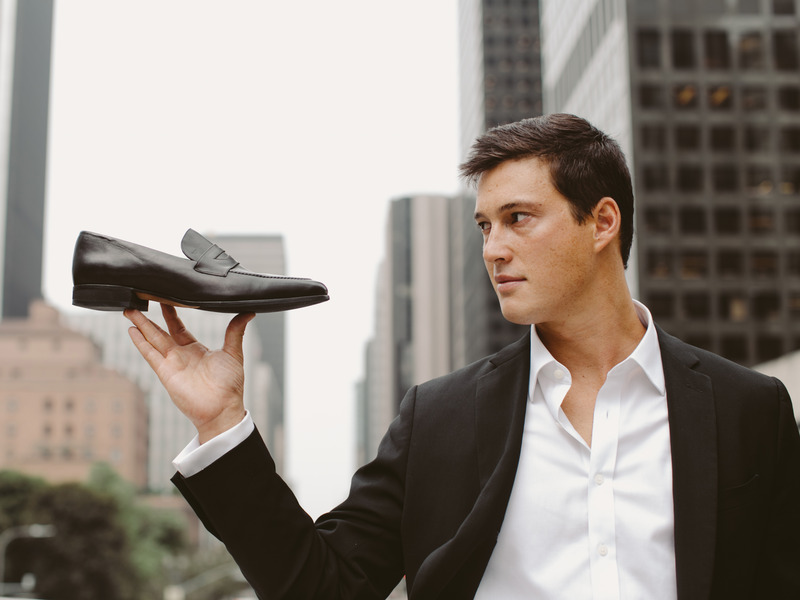 Wolf and ShepherdFounder Justin Schneider with a Wolf & Shepherd shoe.